Join us in collaboration with Park Community students on Saturday 12th January 2019 at our Surplus Supper at Park Community School for a delicious three course meal . On the evening, up to 50 guests will be served a beautiful meal made by chefs, studentsand volunteers from quality surplus and rescued food. The Surplus Suppers are open to all in the community and registration is free. However, the dinners will operate on a 'donate as you dine' system, where guests can pay what they can and what they feel the meal is worth on the night. All funds raised will be donated to UKHarvest to continue its work in food rescue and education. 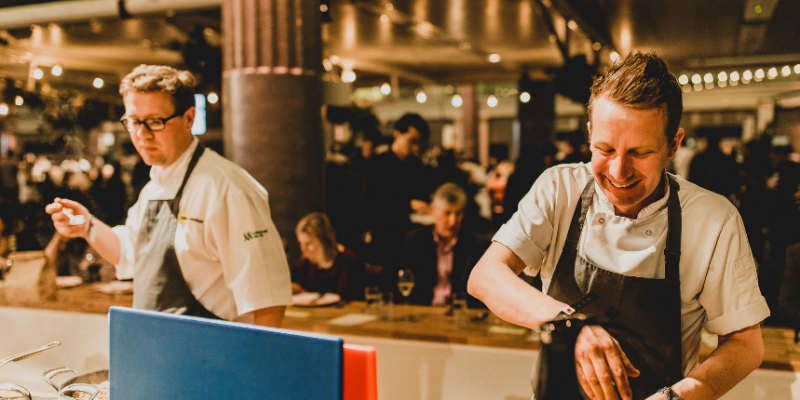 The dinners aim to raise awareness on the scale of food waste in the UK, while also enabling everyone in the community to have access to good quality food cooked with care. No there is no minimum age requirement to attend the dinner. No. We will however check the guest list on the door. If you need to change the name of your booking, please contact the team. What if I have a special dietary requirement or allergy? Please note the meal on the evening will be vegetarian. If you do have any other special dietary requirements, please contact the team at info@ukharvest.org.uk and we will do our best to accommodate you. For any questions, please contact info@ukharvest.org.uk or call a member of the team on 0333 305 7777.